It’s not often that you find a piece of baby equiptment that is designed to last through different baby stages! The Fisher-Price Newborn-to-Toddler Play Gym does exactly that. 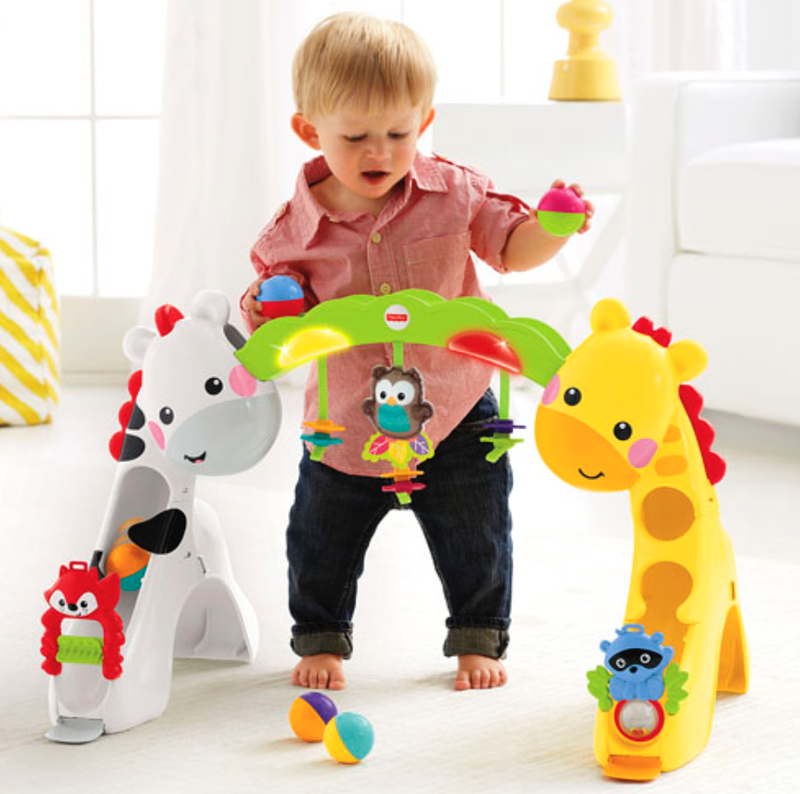 It has 3 grow-with-me stages from newborn to toddler so it really does cover all of your babies play needs; Lay & play, Sit & Play, Stand & Play. The play gym features lights, sounds, musical melodies, a ball shoot & little animals they can pull on or swipe at. Perfect for a newborn as a play mat with stimulating light show, music that has a volume control & lots of bright coloured animals to look at. When your baby can sit they and reach for the animals – when pulled on they make different sounds to help stimulate and engage your baby. The play mat also easily converts into a ‘put & take’ ball play area. Your baby can also roll the balls down the shoots or place them in the little net baskets. When your baby is learning the stand the play gym is a perfect standing aid & is great for helping with balance. Reaching for the balls and putting them down the shoot without the trap door provides great entertainment for your learning to stand baby – having to scramble off to retrieve the balls and repeat the process is great for developing those motor skills. 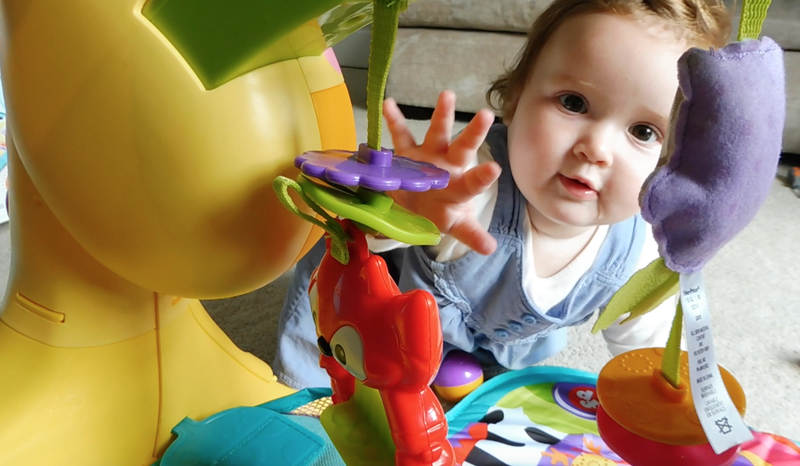 When we received the play gym Florence was only 8/9 months old so we have really seen her test out the ‘sit & play’ & ‘stand and play’ stages & it has been great to witness her learning to interact with the toys differently depending on what milestone she’s at. The play mat has also been in & out of the washing machine which is extremely convenient as we all know how easily baby play equipment needs cleaning. The dancing lights are stimulating but not over stimulating as they have a nice glow rather than a bright flashing light, the music has two separate modes either short baby touch activated play or long 20 minute play. 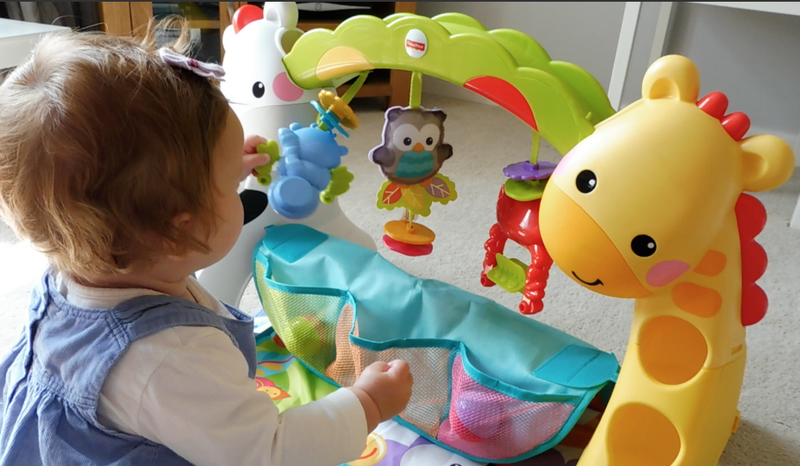 The Fisher-Price Newborn to Toddler Play Gym gets the seal of approval from Florence & I, it retails at £54.99 & is available from Amazon, Argos, Tesco Direct & Smyths. You're making my ears bleed!